Robert Dunlop has applauded a new race structure for next year’s International North-West 200 which will include a separate 250 cc race. Dunlop with 15 wins is the most successful rider in the history of the North West which will have an eight-race format on May 17, 2008. North West 200 clerk of the course Mervyn Whyte, said: “For next year we have a revamped race-day programme featuring a completely separate 250cc event which will kick off the new eight-race timetable. “The 125/400 cc races will run concurrently but will be treated as two separate races. All three races will have individual prize funds and the first, second and third place prize winners will be announced for each race. 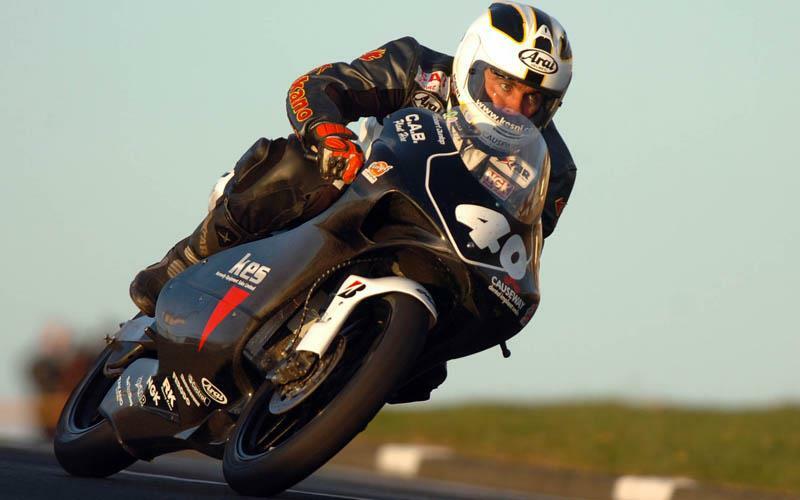 “Over the past few years the 250 and 125/400 cc races were all run together under the one banner which only allowed a competitor to compete in one of the three classes. “This wasn’t the ideal format, in fact it was unsatisfactory for both sponsors and competitors. This shake-up will allow a competitor to take part in two of the three races. Robert Dunlop (47) reckons the changes are a credit to the organising Coleraine club. Back in 1993 Dunlop was a double 250 winner and given last week’s announcement he’s now considering a 250 ride for next year. “I’m certainly thinking about it,” he admitted. “But for sure my two boys William and Michael will want to take part. Mervyn Whyte also confirmed both Superbike races will continue to operate under the FIM World Superbike specification as has been the case in recent years.